1 Where is Gabriel Iglesias now? Where is Gabriel Iglesias now? Gabriel Jesus Iglesias was born on 15 July 1976, in San Diego, California USA, the youngest among six children of Esther Mendez and Jesus Iglesias, but was raised by his single mother. Nowadays, the comedian is best recognized for his shows “I’m Not Fat, I’m Fluffy” and “Hot & Fluffy”. So just how rich is Gabriel Iglesias as of early 2018? According to authoritative sources, this comedian and actor has a net worth of over $30 million, with his wealth being accumulated from his over a decade-long career in the previously mentioned field – he currently makes about $10 million yearly, based on the latest information. He is the proud owner of a collection of luxury cars, and he showed off the majority of them in the series entitled “Fluffy at Home”. Besides that, he owns a house located in Signal Hill, California. Gabriel was born into a family of Mexican background, and spent his early years in Compton, Corona, Santa Ana and Baldwin Park, prior to settling in Section Eight, a relatively poor area of Long Beach, California. Speaking about his ancestry. Being born in 1976 makes Gabriel 41 years old, and as of today, the comedian resides in Whittier, located in California. He was criticized for his weight, and spoke about that issue in “The Fluffy Movie”, adding that due to his bad eating habits, he weighed 202 kilograms (over 450 lbs) and was diagnosed with Type II Diabetes. His doctor predicted that based on his state of health, he gave him two years to live by, which luckily had effect on Iglesias, who then decided to change his lifestyle and health for the better, and began dieting and exercising. Gabriel, also known as Fluffy, is in a relationship with Claudia Valdez – in 2008 the couple was spotted at “A Wish for Animal Benefit”, and are now living together in Whittier, with Claudia’s son Frankie. However, to this day they haven’t married, but as their relationship seems to be successful, who knows what the future holds. The beginning of Iglesias’ career in the entertainment field has been highlighted by his standup comedy performances – he made his debut with a television series entitled “Make Me Laugh” in 1997, in which he worked side by side with Fran Solomita and Ken Ober. Continuing to work at a steady pace in the upcoming period, the comedian landed projects such as “Comedy Central Presents”, “The Drop” and “Inside Joke” in the early 2000s. 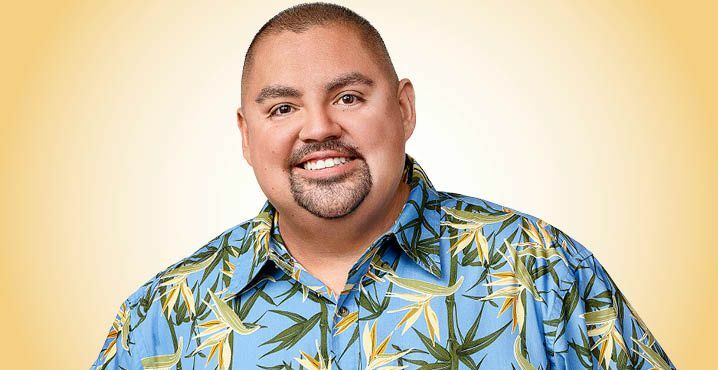 During the mid-2000s, Gabriel worked on “The Late Late Show with Craig Ferguson”, “Last Comic Standing”, then in 2007 had his major breakthrough with “Gabriel Iglesias: Hot and Fluffy”, which received a generally positive response from critics and the audience, and so followed-up by making a comedy documentary movie “Gabriel Iglesias: I’m Not Fat… I’m Fluffy”, which saw him perform at Plaza Theatre in El Paso, Texas. In 2011, Iglesias began hosting “Gabriel Iglesias Presents Stand-Up Revolution”, filmed at Stand-Up Live Club, located in Phoenix, accompanied by Martin Moreno and Ozomatli. He went on to work on projects such as “Gabriel Iglesias: Aloha Fluffy”, “Comedy Central Roast of James Franco” and “Key and Peele” all in 2013, then in 2015, Iglesias had yet another prominent project, working on “Fluffy’s Food Adventures”, which once again was reviewed favorably. When it comes to his latest projects, Gabriel appeared in “Hot Ones” and “The Joel McHale Show with Joel McHale”, both in 2018. To conclude, it is safe to say that working hard has paid off, as the comedian has firmly established himself in the entertainment field. Gabriel made his acting debut by providing his voice recording for “Blazing Samurai”, an animated comedy movie in 1993 and went on to portray various characters in “All That” in 2000. In 2003, he landed the role of Gabe in “El Matador”, and in the following year worked on “Days of Santiago”, a critically acclaimed movie, in which he had a chance to collaborate with actors such as Pietro Sibille, Milagros Vidal and Marisela Puicón. The previously mentioned movie follows the story of a retired soldier who has difficulties re-adjusting to society, and was rewarded with 14 awards from festivals such as Fribourg International Film Festival, Kerala International Film Festival and Lima Latin American Film Festival. As of 2012, Gabriel landed the role of Tobias in “Magic Mike”, and in the same year began working on “Hey It’s Fluffy”. In 2014, the comedian portrayed Alberto in 13 episodes of “Cristela”, and in 2015 reprised the role of Tobias in the sequel of “Magic Mike”, entitled “Magic Mike XXL”. When it comes to his future projects, his television series “Untitled Gabriel Iglesias Comedy Show” has been announced to go to air late in 2018. Being active in the entertainment field naturally means that Gabriel is involved in social media as well, which he uses to communicate with his fans. He is active on Twitter, on which he is followed by an army of more than one million people, and on Instagram, being followed by a similar number.